Mainly Brakes is a mobile mechanics service, covering Edinburgh, Lothians & Fife. 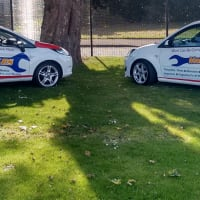 Dale is a really nice guy, easy to talk to and really knows his stuff.Great guy who will go out of his way to help 😀 My car was a knightmare but he got it all sorted and answered all my questions with easy to understand answers.Will definitely use him again. Looking for a garage in Arniston, Midlothian?